It is finally time to buy a new car for you or your business. One of the first things you need to determine before heading out to shop is how large of a loan you want to take out and for how long. The amount of money depends on your personal budget and your credit score. However, the length of time for the loan is largely up to you. According to Autotrader.com contributor Doug DeMuro, car loans are generally offered in 12-month increments. Commonly offered terms are 24, 36, 48, 60, 72 and 84 months. In 2014, the average length of a new car loan was about 65 months, or nearly five and a half years, with used car loans usually being much shorter. Bloomberg.com authors Claire Ballentine and Jamie Butters reported in July of 2017 that the average length of a car loan had jumped to 69.3 months, closer to six years. While loans with more years to pay them off might sound like a good idea, there can also be some pretty sizeable drawbacks. How much interest will accrue? A car loan with a longer term usually results in significantly lower payments, which are great for monthly budgets. However it also gives the loan more time to accrue interest for drivers to pay off. Philip Reed of Nerdwallet.com reports that not only does the interest have more time to rack up, but interest rates are higher for these loans as well. In 2016, the average interest rate for loans between 61 to 66 months was 2.8 percent. On the other hand, loans that were 67 to 72 months long had an average rate of 6.4 percent, more than double that of the shorter term. When will you gain equity? Another danger of taking a long-term loan out on a car is how long the vehicle will be underwater. Investopedia.com defines an underwater mortgage as a home purchase with a higher balance than the market value of the home. This is the same for underwater car loans, except the item in question is the car. Longer car loans—and their higher interest rates—mean that those vehicles are underwater longer than cars with shorter loans. 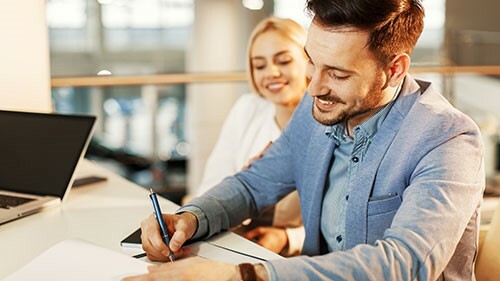 Once car payments catch up with the value of the vehicle, the difference between the current value of the car and the loan balance is called equity, or the portion of the car owned by the person paying it off. To help drivers improve their financial position, it is optimal for them to accrue equity as soon as possible. The deciding factor in car loan length is ultimately how much you can afford to spend each month. While longer loans might not be ideal, these loans exist so that you can have access to the vehicle you need in order to get to work and purchase essentials. Before making your final decision, consider all of your options and pick the one that works best for you.